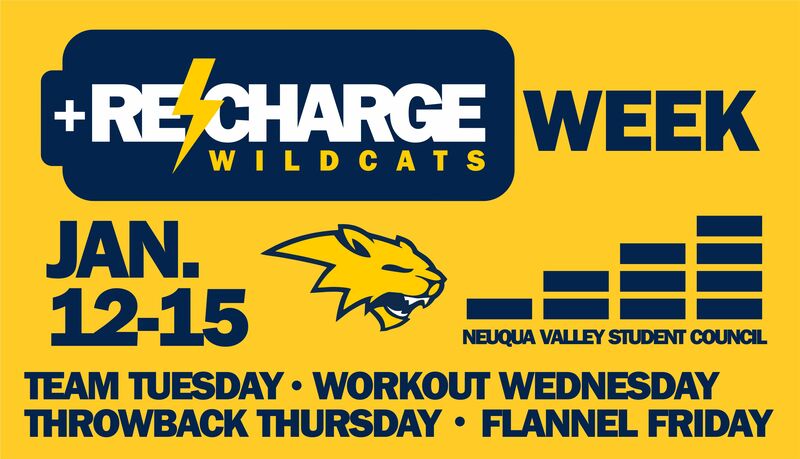 Next week is Recharge Week! Let’s start off 2nd semester RECHARGED and ready to go with some school spirit! Dress up days are: Team Tuesday, Workout Wednesday, Throwback Thursday, and Flannel Friday.